...although the functions of the Police have not been set down by statute, there is universal acceptance that these are primarily the preservation of life and property. It follows naturally from this that the Police have a clear duty to adopt all reasonable means towards these ends. The New Zealand Police has always been the nerve centre of land-based rescue efforts because it has the nation-wide 24-hour presence and the communications network to respond to emergencies. Most incidents are small-scale and local and can be handled from the police and volunteer resources of the district where they occur. Occasionally, however, an event occurs on a much larger scale, such as an earthquake, a major air or train crash or a storm of exceptional destructiveness. These require the mobilisation of much greater resources. The Ministry of Civil Defence & Emergency Management is the lead agency for civil defence emergencies. In such events, local and regional coordination of emergency management, including the work done by police, is the responsibility of local government. The principal roles of the police in a civil defence emergency are maintaining law and order, protecting life and property, assisting the movement of rescue, medical, fire and other essential services, assisting the coroner, coordinating movement control over land and conducting inland search and rescue. They work closely with local and central government organisations, emergency services, welfare and health agencies, utility companies and the many other organisations that can be involved in responding to an emergency. The aftermath often goes on for months, even sometimes years. Police continue supporting agencies throughout the recovery, which is led by the civil defence recovery manager. Above all, lessons must be learnt for next time. Disasters are fortunately rare, so it is important to record and transmit what is learnt. By chance certain individuals were involved in more than one of the three events mentioned below and were directly able to transfer experience gained the previous time. 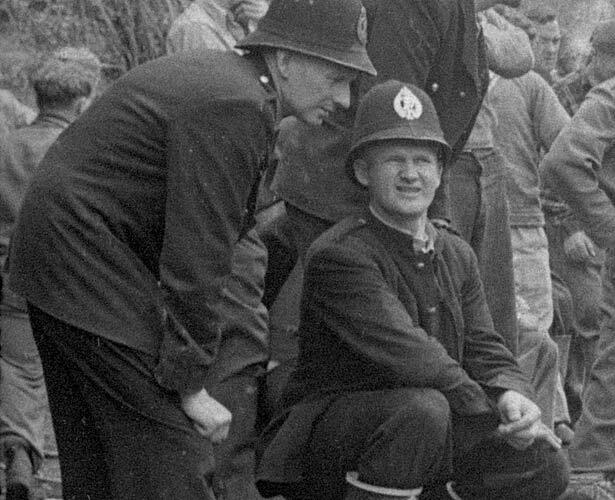 Before the Second World War there was no national organisation for civil defence or search and rescue. In 1948-49, as a member of the International Civil Aviation Organisation, New Zealand subscribed to a convention requiring it to form a Search and Rescue (SAR) Committee to search for missing aircraft. This was centred on the Civil Aviation Authority but it became the nucleus of a national network of Search and Rescue committees. By the time of the Tangiwai disaster of Christmas Eve 1953, there was a rudimentary SAR organisation but most of the arrangements were improvised on the spot with the aid of the army and navy personnel and facilities at Waiouru and HMNZS Irirangi, as well local volunteers. By the time of the wreck of the inter-island ferry Wahine on 10 April 1968, there was a functioning civil defence structure which permitted an organised rescue that was as successful as possible in the circumstances. The recovery of the bodies and property from Air New Zealand Flight TE901 on Mt Erebus on 29 November 1979 was undertaken under the most taxing conditions imaginable and could not have been contemplated without the fullest co-operation of all the partners. This web feature was written by Susan Butterworth and produced by the NZHistory.net.nz team. We have 12 articles, related to Responding to tragedy.